Obama administration plans nationwide deportation raids. A U.S. Border Patrol officer body searches an undocumented immigrant after he illegally crossed the U.S.-Mexico border and was caught on December 7, 2015 near Rio Grande City, Texas. The Washington Post reports the Obama administration is planning a nationwide series of raids to deport hundreds of individuals and families living in the country illegally, marking the first large-scale effort to evict some of the more than 100,000 families that surged across the border last year fleeing violence in Central America. The targets of the raids, the Post reports, would be adults and children that have already been before an immigration judge and already ordered to leave the country. The raids are still subject to Department of Homeland Security approval, but could begin as early as January. A DHS spokesperson told CBS News the focus of the deportation effort will be on “individuals who pose a threat to national security, public safety and border security.” The Post’s report comes a day after the Obama administration disclosed that the U.S. had carried out the fewest deportations since 2006. 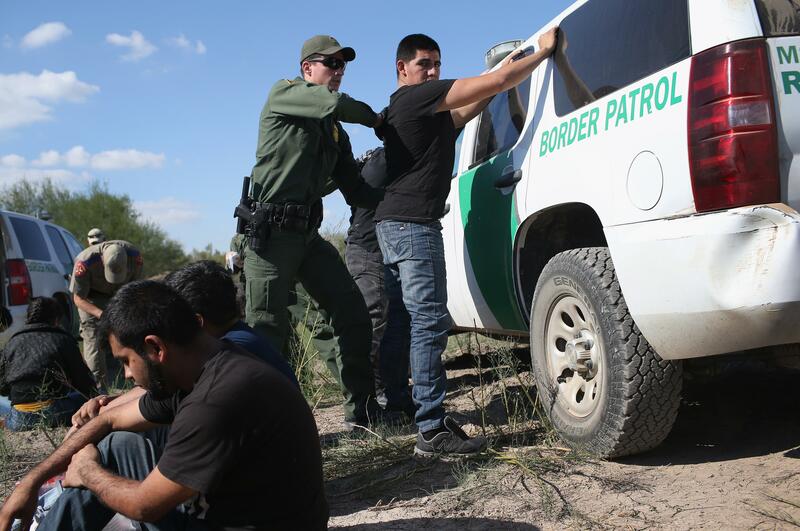 DHS says it deported 235,413 people between October 2014 and September 2015; 337,117 were arrested while trying to cross the border illegally during that same period. Although [DHS Secretary Jeh] Johnson has signaled publicly for months that Central American families not granted asylum would face deportation, the plan is likely to trigger renewed backlash from Latino groups and immigrant advocates, who have long accused the administration of overly harsh detention policies even as Republicans deride President Obama as soft on border security… The raids could become a flash point on the 2016 campaign trail, where GOP presidential contenders, including front-runner Donald Trump, have made calls for stricter border control a central issue. Trump’s rise has come as he has promised to deport all undocumented immigrants and bar entry to the United States for Muslim refugees in the wake of the terrorist attacks in Paris and San Bernardino, Calif., policy prescriptions denounced by Democratic candidates, including Hillary Clinton. The immigration issue has often bedeviled Obama, who came into office under pressure from supporters to end the George W. Bush administration’s post-Sept. 11, 2001, crackdown on illegal migrants. Instead, the administration increased deportations in its early years, drawing repeated fire from Latino groups and immigration advocates. Then, in summer 2014, came the surge of children flocking across the southwest border. “Democratic front-runner Hillary Clinton has pledged to be ‘less harsh and aggressive’ than President Obama, while Republican Donald Trump has pledged to deport millions of people in the country illegally and build a wall along the Mexican border to stop future illegal immigration,” CBS News notes.